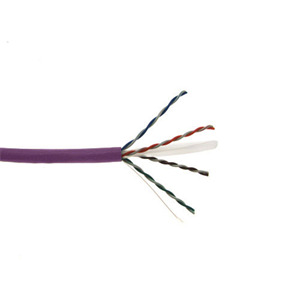 Our Category 6 (Cat6) UTP (unshielded twisted pair) cables are manufactured and tested to meet TIA/EIA 568-C.2 Category 6 and ISO/IEC 11801 Ed2 Class E standards. Our Cat6 cables provide higher performance and headroom than Cat5e and feature more stringent specifications for crosstalk and system noise. 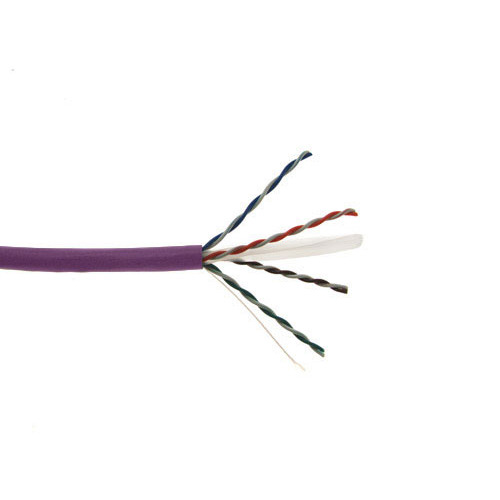 Each Cat6 UTP cable is performance optimized with 4 balanced twisted pairs on 23 AWG insulated solid bare copper conductors. Each pair is separated by a center spline. Our Cat6 UTP cables are constructed to create a round and flexible cable for easy pulling and stripping of the PVC jacket.